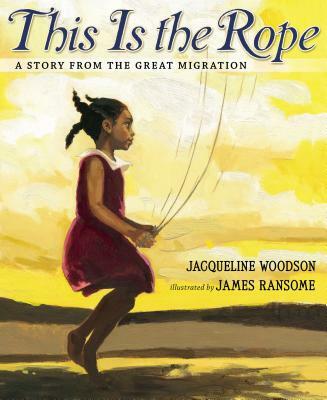 Newbery Honor–winning author Jacqueline Woodson and Coretta Scott King Award–winning illustrator James Ransome use the rope to frame a thoughtful and moving story as readers follow the little girl’s journey. During the time of the Great Migration, millions of African American families relocated from the South, seeking better opportunities. With grace and poignancy, Woodson’s lilting storytelling and Ransome’s masterful oil paintings of country and city life tell a rich story of a family adapting to change as they hold on to the past and embrace the future. James Ransome (www.jamesransome.com) has illustrated more than fifty books for children and won the Coretta Scott King Award for The Creation (by James Weldon Johnson). His work has also earned him a Coretta Scott King Honor, IBBY Honour, ALA Notable, NAACP Image Award, Bank Street Best Book of the Year, and Rip Van Winkle Award. He lives in upstate New York with his wife, author Lesa Cline-Ransome, and their family.